My Auntie Donna couldn’t believe it, not of the little girl she’d introduced to Limburger cheese on rye when I was six or seven, and served homemade borscht, beet red with pride made elegant with a drift of sour cream and onion diced small as a single tear. 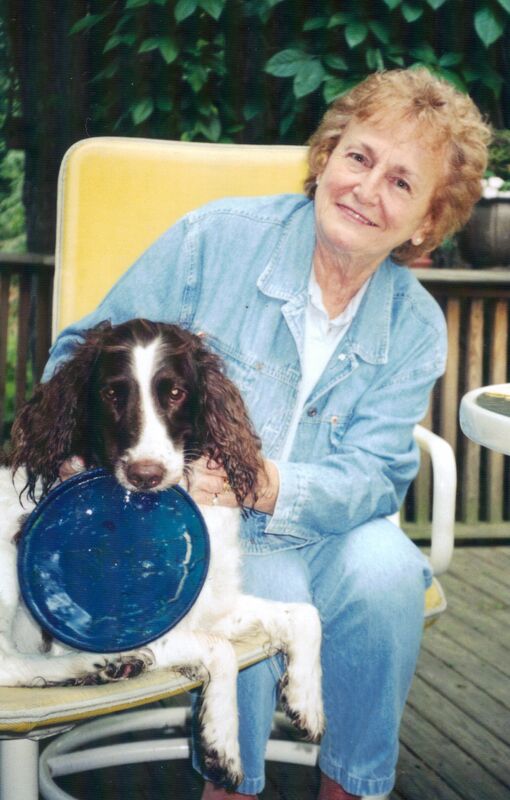 Auntie Donna, no bigger than a minute, loved to eat and loved to prepare favorite meals, planning for weeks what to serve company: for Susan, salmon on the grill; for Donna (her namesake), pork roast; for me, her vegetarian, split pea soup (she assured me she’d removed the ham bone before I arrived). Even better than cooking was dinner out – Jack liked to treat her whenever he was in town on business, or I would pick her up on my way to Michigan. We’d ride out Rose Road to her favorite Crocker Park, with its stores and restaurants, walkways and benches. “Janie,” she’d say. “Let’s sit a minute. I have to catch my breath.” And we would, for a minute, or three minutes, or five, until she could breathe easily again, or a red purse in a store front caught her eye. Since I didn’t live close by I couldn’t share home cooked meals, so once or twice a year I’d ship dinner to her. There is nothing more satisfying than giving a gift to someone who makes you feel as if you’ve handed them diamonds on a gold platter – or better: Maryland crabcakes on a paper plate. She sang their praises and mine too. She had a joy of being – a walk to the end of the driveway to check the mail (perhaps finding an irreverent tale from me); a phone call from Donna Lynn (called Auntie Donna by her nieces); let Sugar in, let Sugar out, let Sugar in (catering to another perfectly good dog spoiled); searching through cookbooks for perfect recipes because I told her I was picnicking with friends at Wolf Trap – caprese salad, bulghur salad, shrimp salad. She did not have to go to be happy that you were going. Instead she went to hospice. For all the letters and phone calls and visits from the rest of us, I know she missed her sister dreadfully. If heaven exists, I am happy beyond measure that they are together again. Her son, her nieces and nephew, will scatter her ashes where we scattered her sister’s, atop their mother’s grave. I do now, Auntie Donna. Thanks to you, I do now. This entry was posted in Uncategorized and tagged aunt, cooking, dog, joy, maryland crabcakes. Bookmark the permalink.